As a former navy fighter pilot, i like to work hard and fly hard but i also like to have a good time. For me, wine has always been fun; a social beverage to enjoy with good food and great conversation. At volatus, my mission is simple - create delicious wines to share with friends and family. Now shipping to over 37 states including: Alaska, Arizona, California, Colorado, Florida, Georgia, Hawaii, Idaho, Illinois, Indiana, Iowa, Kansas, Louisiana, Maine, Maryland, Massachusetts, Missouri, Minnesota, Nebraska, Nevada, New Hampshire, New Mexico, New York, North Carolina, North Dakota, Ohio, Oregon, Pennsylvania, South Carolina, Tennessee, Texas, Virginia, Washington, Washington DC, West Virginia, Wisconsin, and Wyoming. The Volatus story began with a chance meeting in the late 1990’s. LT Hal Schmitt, a young Navy Fighter Pilot, was out wine tasting in the rugged hills of West Paso Robles. 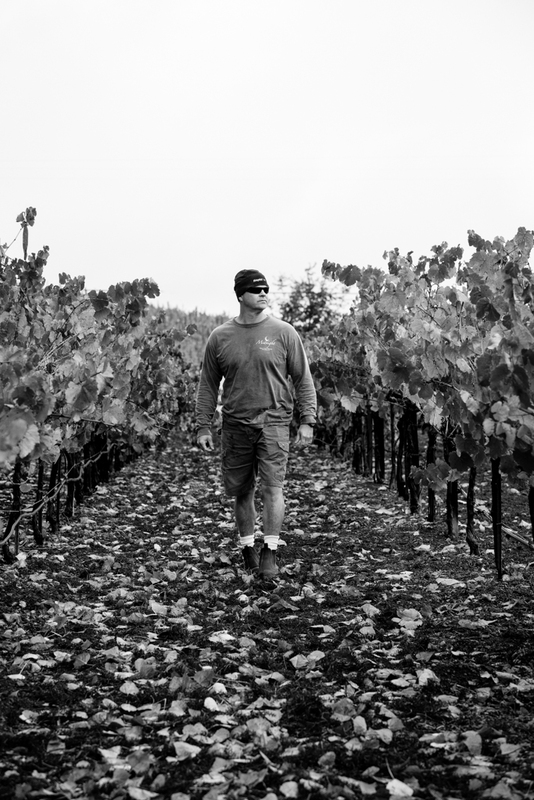 While at Midnight Cellars, he met local winemaker Rich Hartenberger and offered his assistance during the upcoming harvest. Just two weeks later, Rich and Hal processed their first fruit together and forged a deep and lasting friendship. After 15 years in the making, Hal and Victoria have found a home to pour our wines! Although we love the ambiance of the working winery as our backdrop, we worked on a place to bring groups, have music, host events and have an officers club vibe complete with dice games and coin rules- so come prepared! We plan to open this spring so stay tuned for our opening day with hour of operation! *Due to the nature of the process of opening a tasting room, we are still waiting for our official date announcement this spring and plan to celebrate in May! Sign up with your email address to receive news and updates about events!